Luxury motor yacht GOTA was built by the Italian shipyard San Lorenzo in 2007 and measures 25,7m (84,4ft) in length. 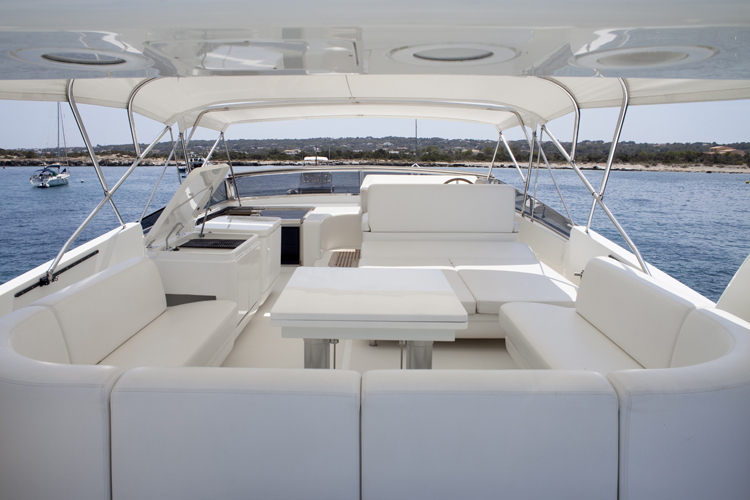 GOTA can accommodate up to 8 guests, in 4 well-appointed cabins. 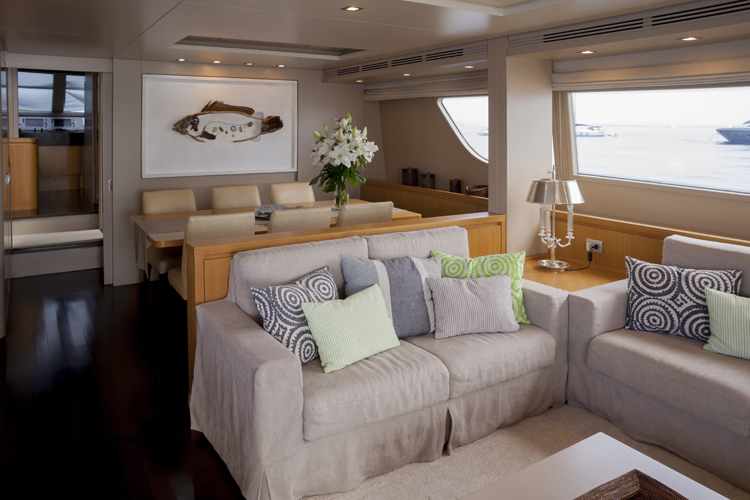 Charter yacht GOTA has a contemporary interior décor, seamlessly blending neutral furnishings with warm woods, creating a relaxed and elegant ambiance. The salon is an open plan and features surrounding windows, allowing for optimum natural light. 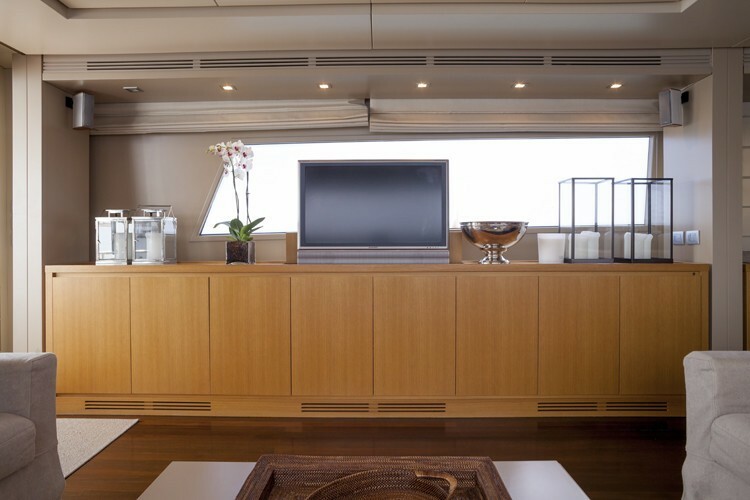 Aft is a generous lounge, complete with a plush 3 piece suite, coffee table and full entertainment systems. Forward the formal dining table is flanked in high back leather chairs. 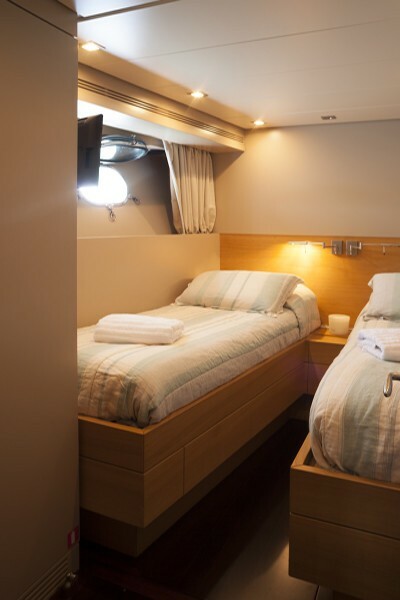 On the lower deck are the guest accommodations, each offering private en-suite facilities. 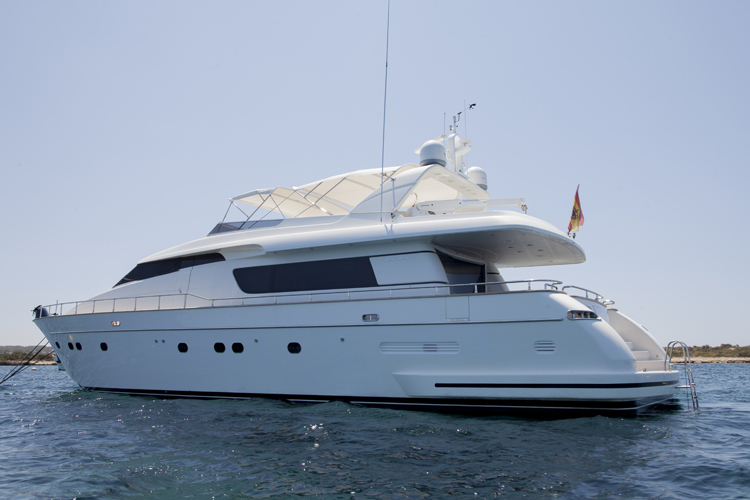 Motor yacht GOTA has plenty of exterior living on 2 spacious decks. The salon leads directly to the shaded aft deck and an alfresco dining option, perfect for socializing casually, or formally. 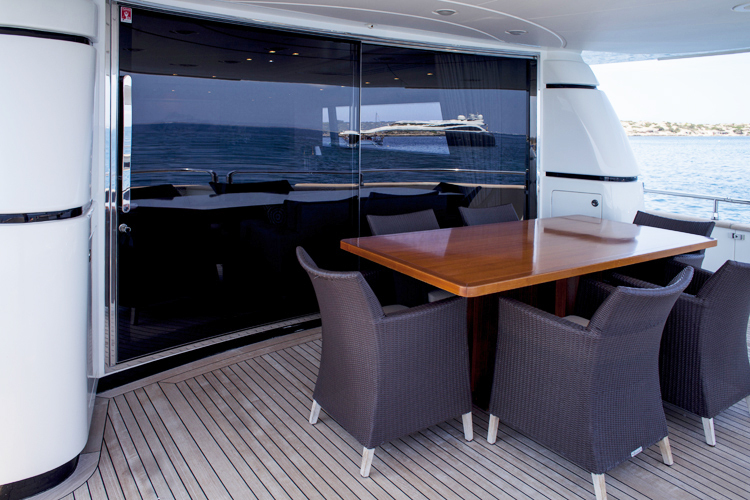 Wrapping around the yacht 360°, the main deck provides easy access to the foredeck and a large raised sunpad. A full beam extended swim platform on the transom is ideal for the water enthusiasts to enjoy the water toys on offer. 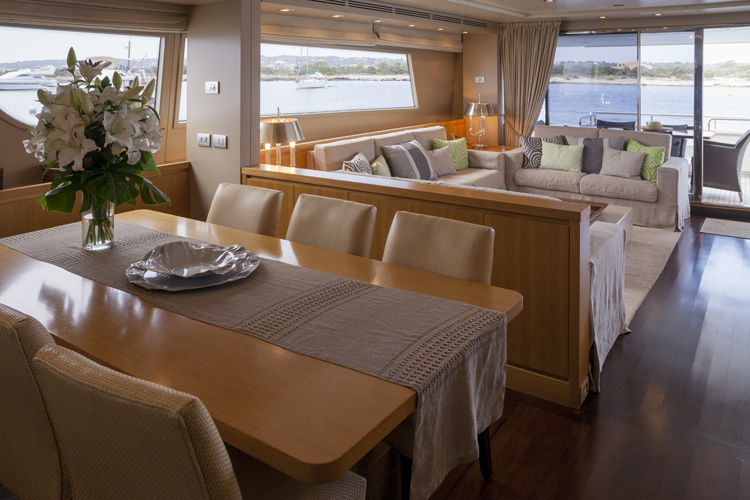 The San Lorenzo GOTA boasts an upper sundeck, featuring an additional alfresco dining option, service station, seating, sunpads and removable shade. Powered by 2 x 1900hp engines, GOTA effortlessly cruises at 20 knots. 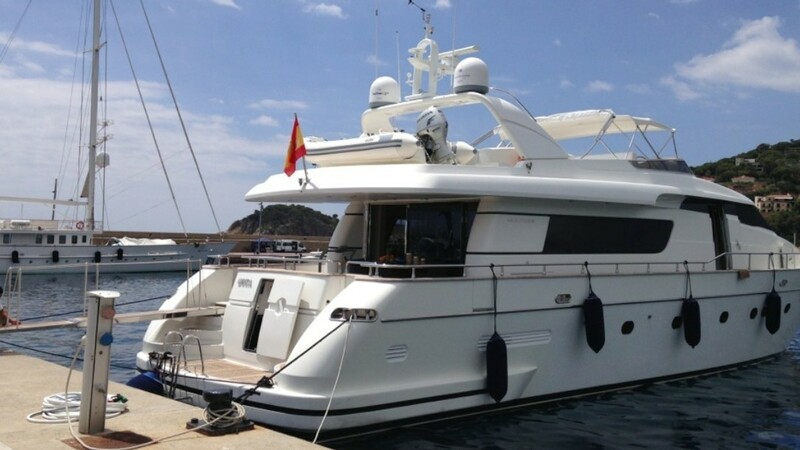 Motor yacht GOTA has been fitted with stabilizers for optimum comfort. 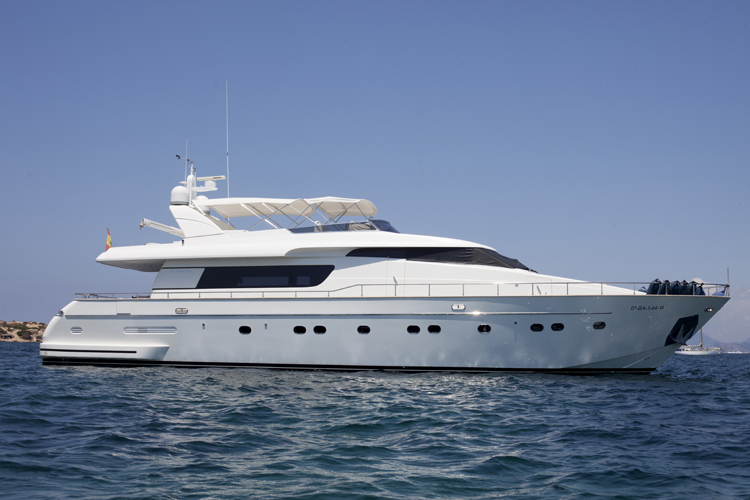 Luxury charter yacht GOTA can accommodate up to 8 guests. 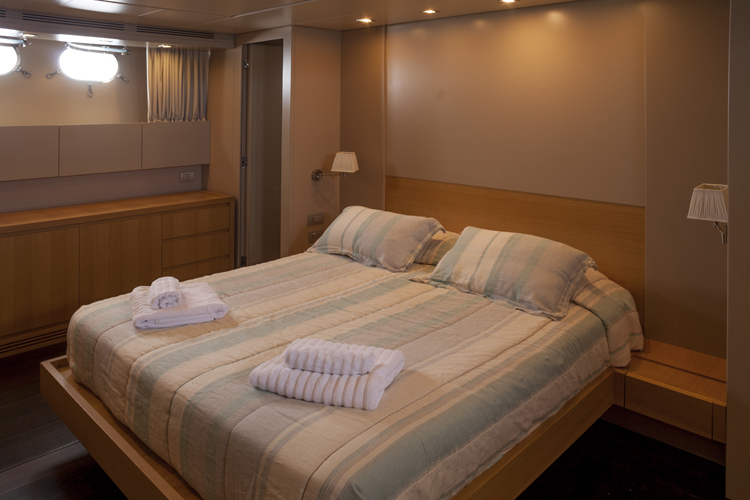 The yacht offers one master cabin amidships and full beam of the yacht, with a center lined queen size bed. The VIP cabin features a queen size bed. 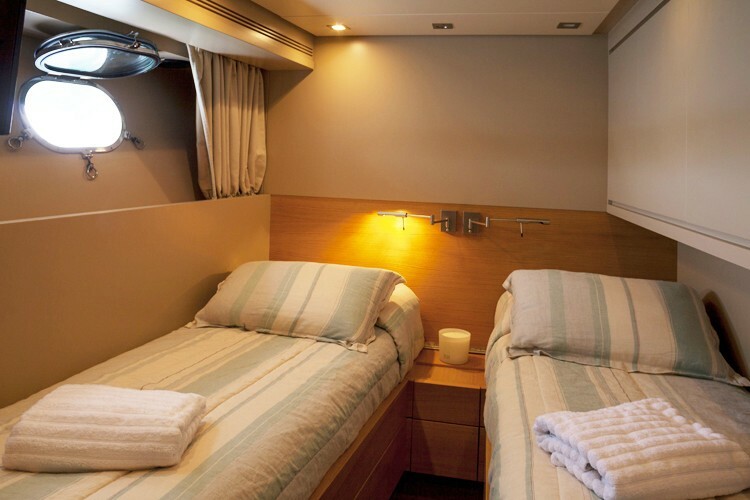 Two guest cabins each have side by side twin beds. 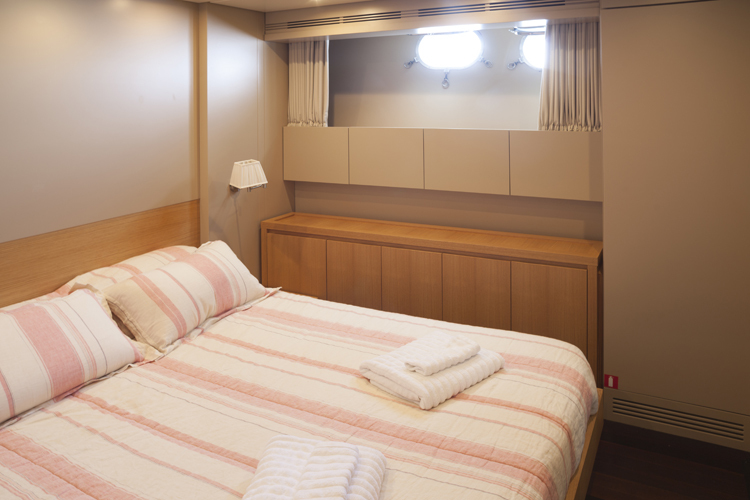 A Pullman berth in one twin cabin is available for a 9th guest. 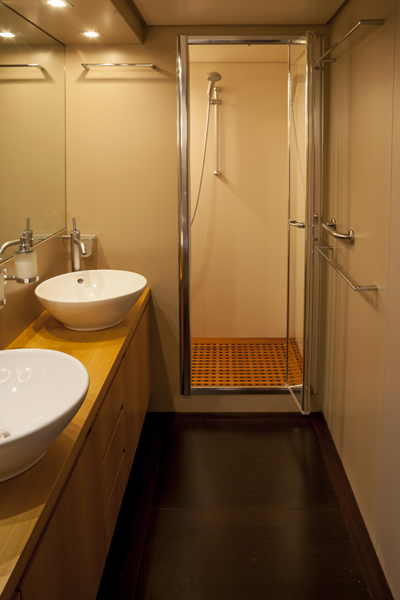 All 4 cabins boast private en-suite facilities.